Why Do I Have To Pay To Become A Beachbody Coach? - Total BS! I’ve been asked this question several times so I decided to write this blog post to answer it. Q. Why do you have to pay to become a Beachbody Coach? A. Because this is a BUSINESS, not a job. let’s be real, what business are you able to start for free? For me personally, signing up to become a Beachbody Coach was one of the best decisions I’ve ever made. My $200 investment turned into over $500,000 in total commissions (by the time your read this that number will be higher and continue to grow). *See Income Disclaimer at the bottom of this post. One of things that attracted me to the Beachbody Coaching business opportunity was that it gave me unlimited earning potential. In a normal 9-5 job, most people have a limit on how much they can earn. Sure you might get a dollar raise every 2 years, but the wage increases are pretty much insignificant. As a Beachbody Coach, the sky’s the limit! It’s Actually FREE To Get Started As A Beachbody Coach! 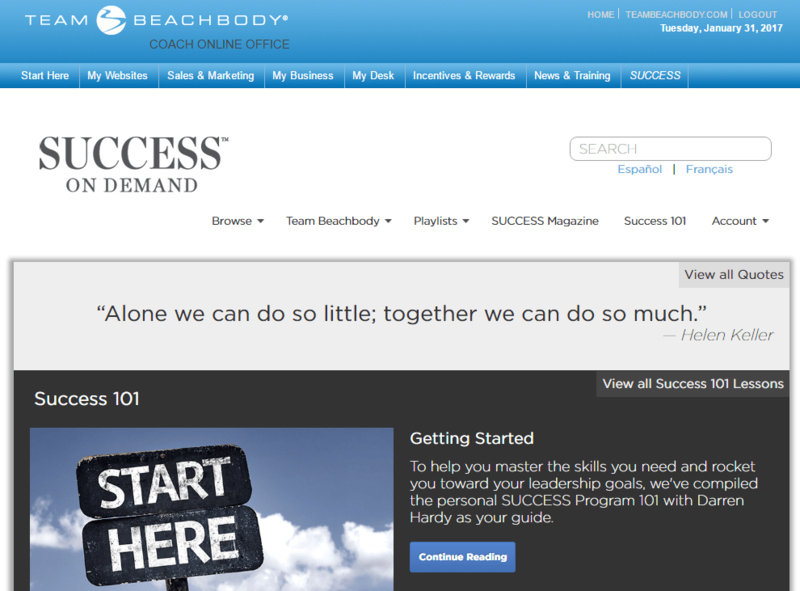 There are a few different options to choose from when signing up to be a Beachbody Coach. You can get started for $39.95. I don’t recommend this option because you’re not getting any product. All you are getting is the opportunity to be a Beachbody Coach. A better option, and a better value is to choose a Challenge Pack during the Coach sign up process. When you choose a Challenge Pack the $39.95 start up fee is waived, therefore making it FREE to become a Beachbody Coach. The Challenge Packs are already a great deal, thousands of them are sold every day to customers who only want the products. With the opportunity to also become a Beachbody Coach for the exact same price, it makes Challenge Packs an even better value for those interested in the business opportunity. Here’s something I’ve seen happen on multiple occasions. Sally wants to become a Beachbody Coach so she pays the $39.95 fee to get started. Then Sally decides she’s going to purchase a new program and Shakeology because she knows that being proof the products work is a important aspect to her success at building her Beachbody business. So you can see from the image above that even with a 25% Beachbody discount, saving Sally $47.45, the total cost for the 21 Day Fix and Shakeology came out to $168.18. Sally paid $208.13 for the 21 Day Fix, Shakeology, and to become a Coach. That’s not a horrible deal, but she could of saved money by choosing the 21 Day Fix Challenge Pack during the Beachbody Coach sign up process. The cost of the 21 Day Fix Challenge Pack is only $160, and this includes becoming a Beachbody Coach. I’ve seen this exact scenario happen in real life. It’s not Sally’s fault, she just didn’t know. On the Beachbody Coach sign up page they don’t do a great job of highlighting the fact that The $39.95 Start Up Fee Is Waived When You Order A Challenge Pack. Which is why I make sure to let everyone know beforehand. It’s also worth mentioning that any customer that has purchased a Challenge Pack in the past can sign up to become a Coach and have the $39.95 start up fee reimbursed. 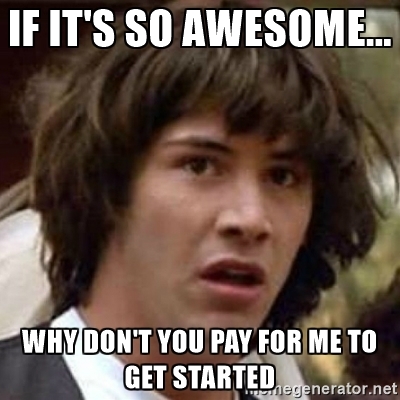 In addition the Beachbody Coach start up fee, there is also a recurring $15.95/mth fee. I consider this a cost of doing business. It covers the cost of the websites you are given, your Coach Online Office which tracks all of your business activity (customers, sales, volume, commissions, etc), and also gives you access to the Success On Demand digital library which is filled with great educational, motivational, and inspirational videos, audios, and books. Access to Success On Demand can easily be argued to be worth the cost of the monthly fee by itself. $15.95 a month is a very fair fee to pay for the opportunity that Beachbody is offering. Remember, this is a business, not a job. When starting any business there are expenses. Selecting packaging, warehouse, inventory, labeling, handling returns. I’m sure you get the point. Starting a business can be expensive. The costs add up quickly. As a Beachbody Coach, all of this is taken care of for you. You are able to plug into an existing system that is already proven to work. If someone isn’t happy with their product and wants a refund, no problem, they can give customer support a call. Have a customer that wants to make a purchase… No problem, send them to your website and Beachbody will take the order, collect payment, and ship out the products for you… and you get a commission! In my opinion the cost to become a Beachbody Coach is too low. As I mentioned above, it’s basically free to get started. When new Coaches sign up they have little invested, so they don’t treat it seriously. They don’t take the time to go through any of the training and don’t put in a serious effort because they don’t have anything to lose. Be honest with yourself and compare the effort you would put in if you had to pay $10,000 to get started, versus $40 to get started. I bet if you had to pay $10,000 to get started you would show up with a “I’m going to make this work” mentality. I bet you would show up for training and spend time reading books and learning to improve your chances of success. I bet you would do whatever it takes to succeed because you wouldn’t want to lose the $10K you invested. So I’ll leave you with a few tips on how to succeed as a Beachbody Coach. Act as if you spent $10,000 to get started. Decide that you’re going to do whatever it takes to be successful. And treat your business like a business instead of like a hobby.